Home / OTHERS / REFER & EARN / WALLET / Wynk Music App Refer And Earn Offer:: Refer 4 Friends And Earn Rs 50. 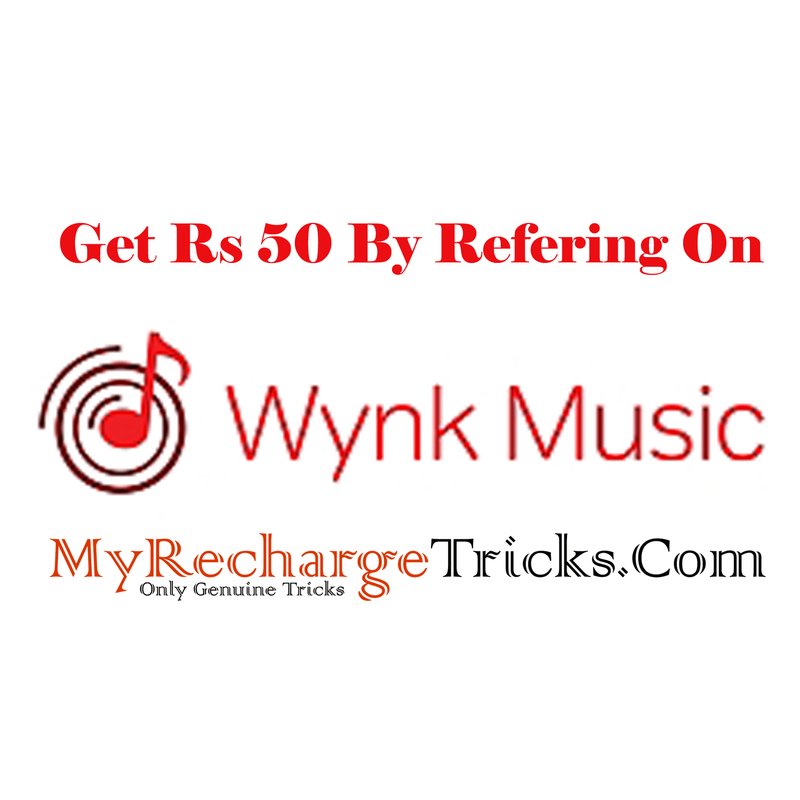 Wynk Music App Refer And Earn Offer:: Refer 4 Friends And Earn Rs 50. Wynk Music App Refer And Earn Offer:: Airtel Has Come Of With Another Amazing Cashback Offer. Refer 4 Friends To Join Wynk Music App And Get Rs 50 Cashback On Your Airtel Payment Bank Wallet. Wynk App Is Known For Providing All Types Of Bollywood, And Regional Songs. So Refer And Earn. Hello, Friends Welcome To MyRechargeTricks.Com Hope You Are Enjoying Our Free Recharge Tricks, Shopping Deals, Recharge Loots And Other Offers. How To Get Free Rs 50 On Airtel Payment Bank Wallet. Click Here To Download Wynk Music App. After Downloading Install And Sign In To Wynk Music App Or Create An Account If You Are New. You Will Receive An OTP On Your Mobile Number. Verify It. Goto HomePage >> My Account >> Refer and Earn >> And Share Your Refer Link To All Your Friends. 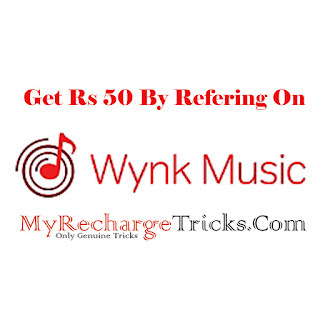 When 4 Of Your Friends Join Wynk Music App Through Your Referal Link You Will Get Rs50 On Your Airtel Payment Bank Account. Hope You Enjoyed Wynk Music App Refer And Earn Offer. For Instant Alert On Latest Tricks Click Here To Like Our Facebook Page. The main purpose of starting this blog is to help people with getting awesome Online Best Deals, Coupons and Freebies and Right Information Here. WWW.MYRECHARGETRICKS.COM is Mainly Focus on Best Online Deals, Coupons and Tricks / Tips related to the Free Recharge offers Online Shopping Deals, Online Shopping Coupons, Free Stuff, Facebook Tricks And Much More.